mytea@om: It's A Good Life! A couple of Latinesque/Future Jazz versions of all time House/Techno classics this week. Kicking off with a favorite of Detroit innovator Kevin Saunderson to close out his sets, of 'cause it would be the original was his. 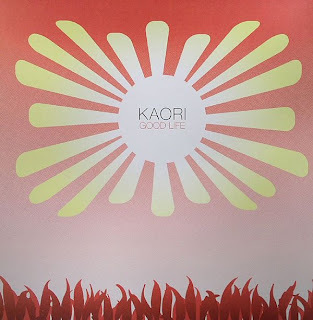 Kaori's "Good Life" version has stayed in the record boxes of numerous respected DJ's worldwide. Dropping in 2002 on Disorient a sub-label of the UK's mrbongo records, first thought to be an illegal remix but was a reworking by Berlin Techno dj/producer Thomas Schumacher, who had been dropped a demo tape by Kaori a well known Japanese vocalist while on a trip to the far east and he jumped at the opportunity to use Kaori's vocals to produce this cover of the legendary club anthem....still lovin' this!